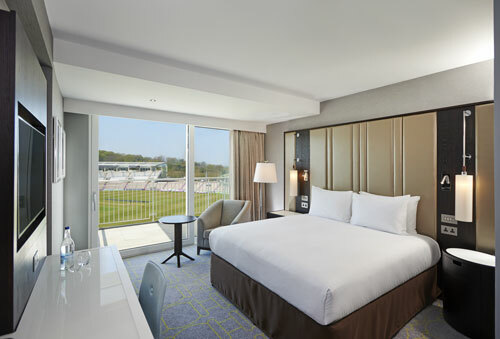 Hilton at the Ageas Bowl is a brand new 171-bedroom hotel, located at the picture-perfect Ageas Bowl. Providing stunning views over the iconic venue, the property is also home the country’s first eforea spa, Sir Ian Botham’s flagship restaurant, BEEFY’S, a Lakeview Sports Bar as well an 18-hole golf-course set to open in Spring 2017. Our eforea spa is a place like no other, the first of its kind in the country, offering the ultimate relaxation experience. Boasting a multitude of thermal experiences and luxurious journeys, you’re sure to find yourself emerging brighter, refreshed and re-connected. 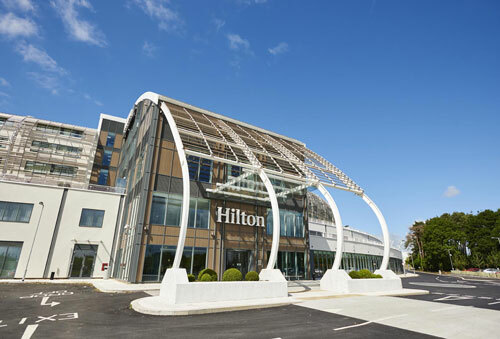 With all this and more, you’re sure to find just what you were looking for at Hilton at The Ageas Bowl. Hilton at the Ageas Bowl is home to the country’s first BEEFY’S Restaurant and Bar – a classic steakhouse offering a menu of timeless classics with a distinctly British accent. Additional services: Eforea spa is a place like no other, the first of its kind in the country, offering the ultimate relaxation experience.